I'm really enjoying these Portabella ravioli from Trader Joe's. The ravioli filling is really flavorful and includes provolone cheese. 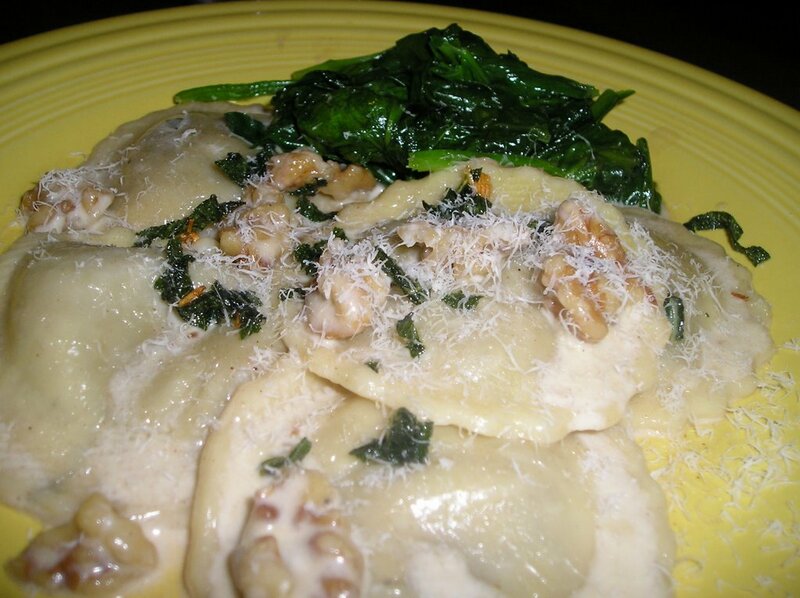 Here I've made them with a sage walnut cream sauce - a classic combination. Although this dinner is somewhat improvised (i.e. no recipe,) I give credit to my gal, Deborah Madison and her wonderful books for planting the idea in my head.